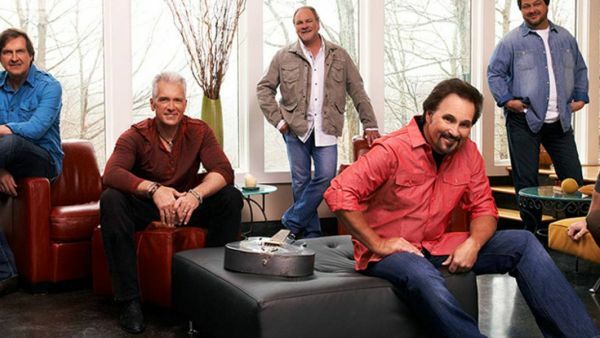 Diamond Rio is an American country and Christian country music band. The band was founded in 1982 as an attraction for the Opryland USA theme park in Nashville, Tennessee, and was originally known as the Grizzly River Boys, then the Tennessee River Boys. It was founded by Matt Davenport, Danny Gregg, and Ty Herndon, the last of whom became a solo artist in the mid-1990s. After undergoing several membership changes in its initial years, the band has consisted of the same six members since 1989: Marty Roe (lead vocals, rhythm guitar), Gene Johnson (mandolin, guitar fiddle, tenor vocals), Jimmy Olander (lead guitar, banjo), Brian Prout (drums), Dan Truman (keyboards), and Dana Williams (bass guitar, baritone vocals). They rose to the top of the Billboard Charts with songs like; Beautiful Mess, I Believe, One More Day and Meet In The Middle.